The Randohm by SnV Mods, is a mechanical bottom feeder box of our design, create and thought to meet your expectations! Using the 20700 battery format, equipped with a spring pin MM510, a double copper lambelle. The body and the door are made of nylon with the addition of carbon powder. 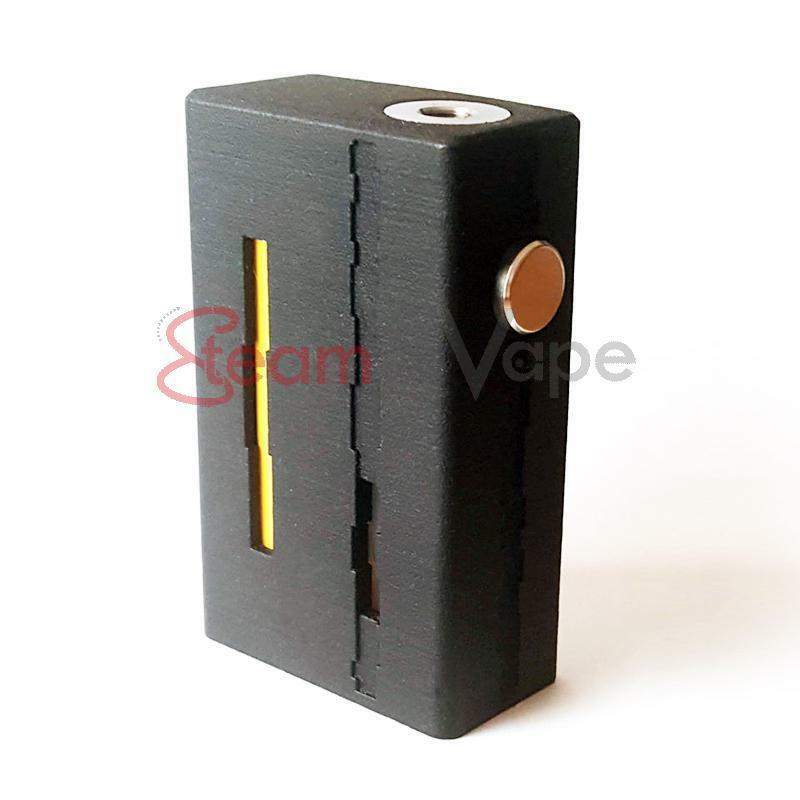 The Randohm is the first Box Bottom Feeder designed by SnV Mods. With a sober look, this box is not less powerfull and will work in all circumstances. The Randohm is lightweight and resistant with a structure made of Nylon and Carbon powder. The box will be powered by a 20700 Battery to combine power and autonomy. 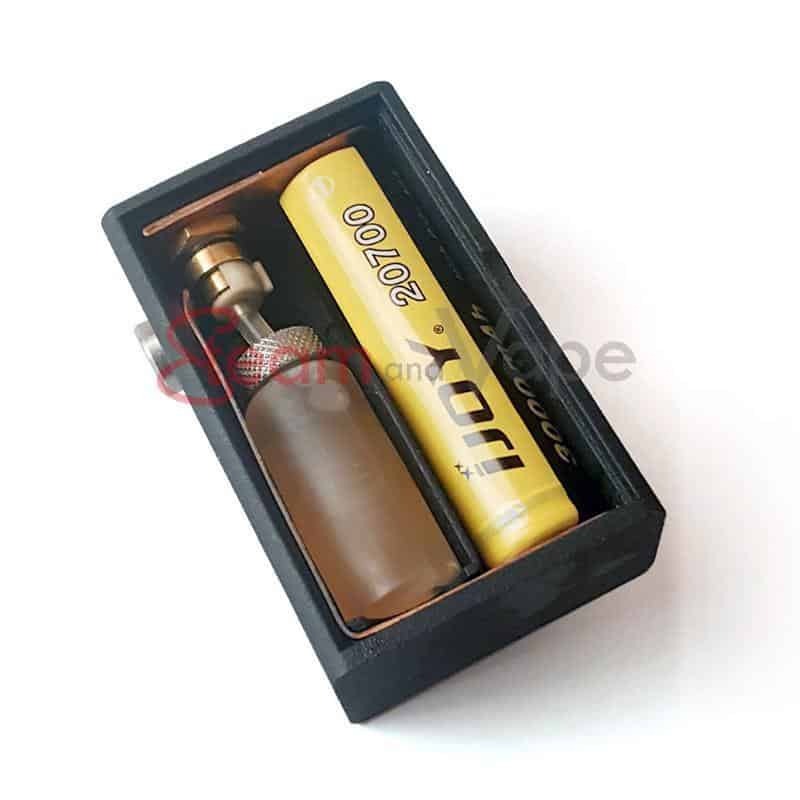 This format allows to get more amperage with a size close to the usual 18650 batteries. Its wide Copper Lamellas have an unusual thickness of 0.8 mm. A double lamella is positioned on the negative pole to provide a slight spring effect so that your batteries will be perfectly maintained without damaging your wraps. A safety ring will allow you to lock the switch of the box so you can store it or carry it with peace of mind. 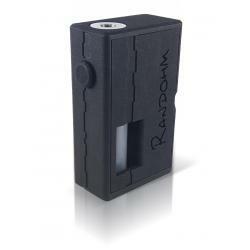 The Randohm accepts a variety of bottles up to 8 ml capacity. Their compartment is isolated from the battery part. With a MM510 pin build on a spring, the box accepts all BF atomizers (or not) up to a 25mm diameter. We imagined the Randohm to be easy to live with. You will find two slots on the back of the box. They will help to take out the battery or the bottle easily by sliding the door inside them.